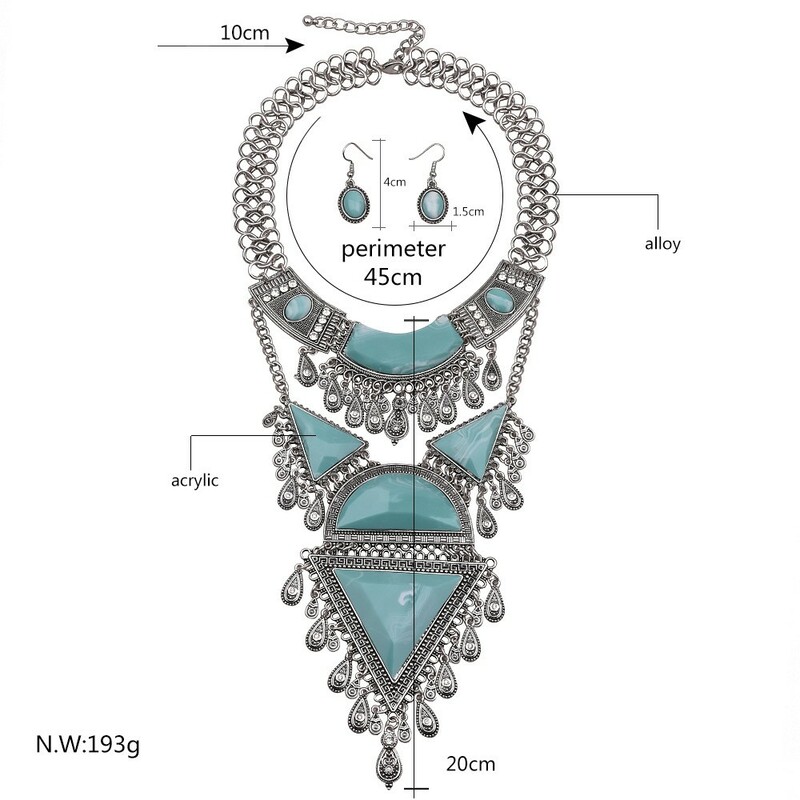 Dress with long gold chain costume necklace and vintage style round earrings this season to be bling heroine ! 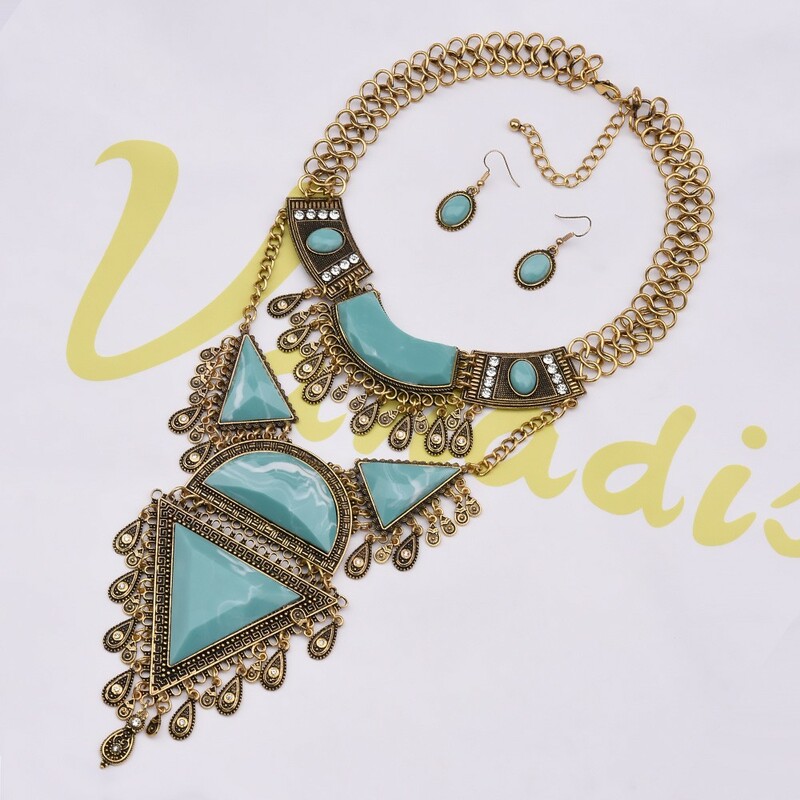 This statement necklace is a bold multi layering design with yellow & white alloy chain, different shape blue acrylic embellishment in suit place, and a very cool large drop that length 20 cm. Lobster clasp. Approximate perimeter 45 cm, and 10 cm extender.